You will also build new skills and behaviours that enable you to grow in your personal or professional life. 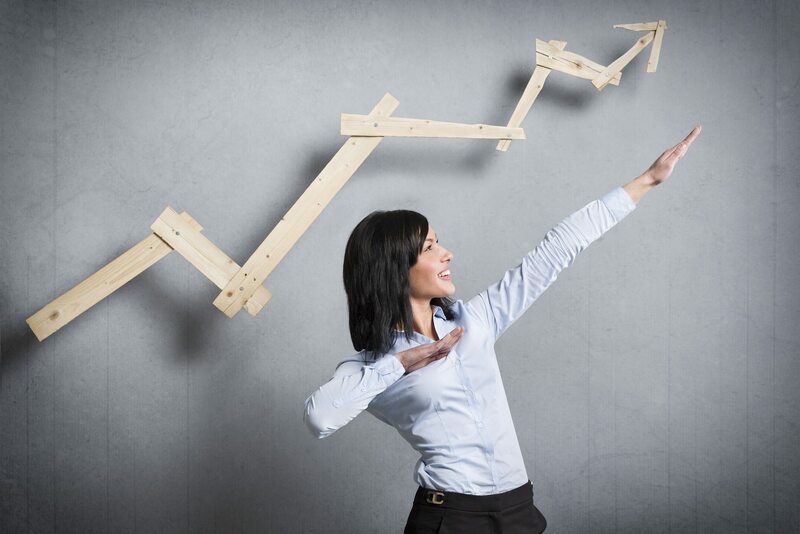 Coaching helps you to improve, grow, develop and prosper. The focus is on collaboration, positive outcomes, forward-movement, learning and unleashing your potential. Sometimes that’s the difference between flourishing and staying stuck in your comfort zone. 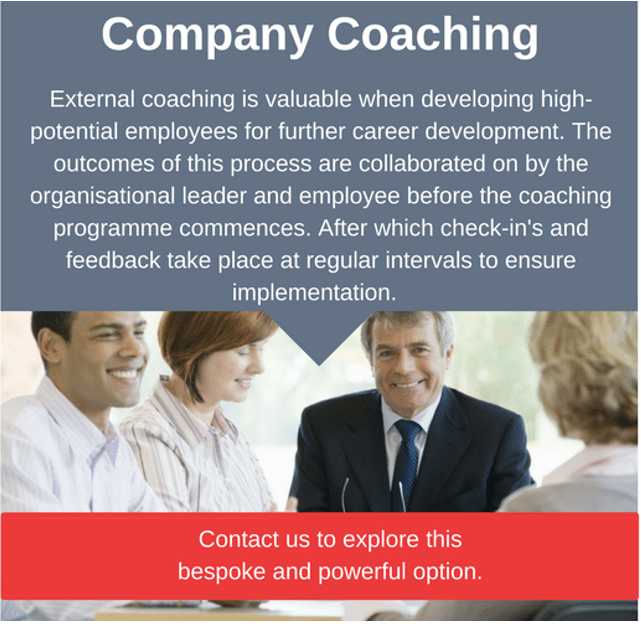 Personal coaching provides this kind of guidance by partnering with you in a way that inspires you to maximise your personal and professional potential. The foundation of a coaching partnership is based on trust, with the purpose of believing in you and playing a supportive role to assist you to reach your potential. 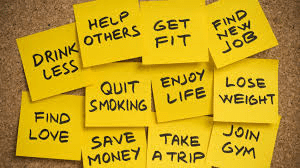 No one is more qualified than you when it comes to making changes in your life. A coach can, however, help you clarify what you want to achieve, and hold you accountable for finding the solutions to your challenges. A coach does not give you advice or suggestions on how to solve your challenges; we do this purposefully as we believe that you are creative and resourceful enough to find your unique solutions to inspire you and move you forward towards your goals. Still not sure if you need a coach? A coach is your personal change partner who cheers you on when needed, stretches you to think more broadly, and assists you to change your thinking patterns. The biggest value a coach provides is being an accountability partner that supports you to attain your goals. As individuals, we become blind to our assumptions, judgements and patterns. We create stories and explanations for why something can or cannot happen. This process keeps us trapped in our old and often unhelpful thinking patterns and behaviours. A coach will partner with you to challenge your thinking in a gentle and supportive manner. They will help you to observe where you are tripping yourself up and find better ways to think and behave that best serves you. When Would I Need A Coach? You need an independent neutral coaching partner when you feel stuck with a life situation and have a deep yearning to become more than you currently are, but feel that there is something stopping you from getting there alone. A coach asks open ended, non-judgemental questions that will make you think and reflect until you discover new solutions or ideas. Frequently, coaching topics are intertwined between work and personal issues. Wondering if you need a coach? Here are some coaching topics that come up in sessions. 4Seeds has a track record of outstanding results with people who have invested in themselves and have progressed to new levels of personal and professional success. Read some testimonials here. Our expert life coaches in Johannesburg are a phone call away. Over the past 25 years, coaching has become a fast-growing discipline and will therefore have the customary challenges of a dynamic, booming industry. Worldwide consensus of coaching standards and credentials remain a current point of debate. The International Coach Federation (ICF) has been regarded as the global leading and most reputable institution that upholds stringent coaching ethics and standards. A coach’s time investment, training, practice and dedication need to meet the ICF’s credentialing criterions which has resulted in many great coaches not choosing this regulatory path. This is a very important point to emphasise, because coaching involves psychological change and the client must always be assured that they are in the hands of a competent and skilled coach. To select the ideal coach requires preparation and should not be done too quickly. Take your time to make sure that you have a chosen a coach that will have the most positive impact on your life. Start by asking friends and colleagues for a recommended life coaching in South Africa. Do your own online research by searching for life coaches in South Africa or life coaches in Johannesburg. Screen various coaches’ profiles on coaching directory websites such as coachdirectory.co.za, www.comensa.org.za or www.coachfederation.org.za. Read their profiles and make notes of the ones that attract you. Coaching is a personal and trusted relationship and their blurb, experience, methodology and past successes need to resonate with you. Narrow your search down to three coaches. 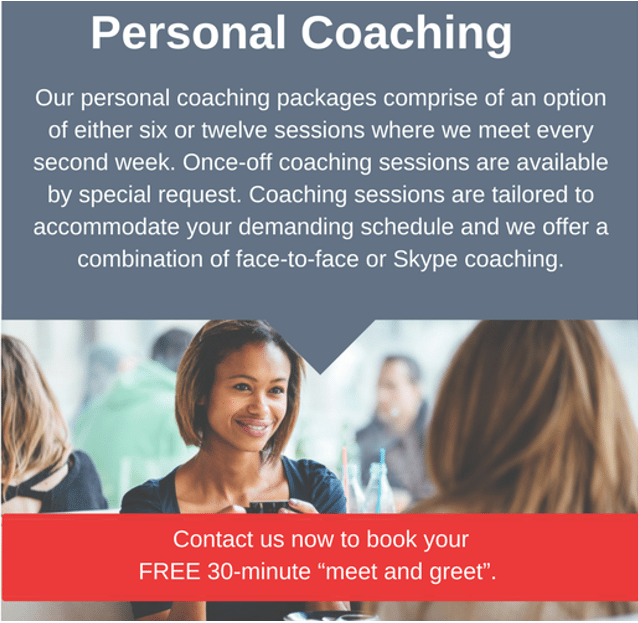 Consider if you want to work with a coach in person or if you’re comfortable to be coached over Skype as you may be have selected life coaches in Johannesburg which is not in your area. Contact the coach for a potential “chemistry meet and greet” meeting where you can connect with them either in person or chat to them over the phone. Many coaches offer these meetings for free, but it’s best to confirm that upfront. The “meet and greet” meeting varies from 30 to 60 minutes and this is your opportunity to “interview” the coach to establish if there’s a mutual fit. Be mindful that this is not an actual coaching session. Introspect on the “meet and greet” engagement considering all aspects that are important to you, then make your choice from the three finalists, or head back to the research phase. The birth of coaching goes back to the 1850s where tutors helped university students to prepare for exams. It then deviated and became popular in the sporting world where teams and professional athletes used a coach to help them maximise their potential. Only in the 1950s did coaching slowly make a break-through in business management literature. By the 1980s, coaching became recognised as a conventional profession, and since then has made its way into leadership programmes, career development, personal growth, and guiding human prosperity. How Does Coaching Differ From Therapy Or Counselling? There are various professional services to choose from when things in our lives go awry, and each have their innate purpose and place in the field of developing and serving humanity. Therapy and counselling are often confused with coaching, but they have little in common. Therapy and counselling are two remedial modalities that support people to overcome emotional trauma that has been triggered by a particular life event (divorce, bereavement, substance abuse, illness or co-dependence issues). In therapy, the focus is on exploring psychological reactive behaviours and providing coping mechanisms and solutions to the underlying emotional trauma. In contrast, coaching is proactive and aims to assist you to become aware of patterns and behaviours and progressively solve them before they arise. A counsellor or therapist is an expert in human behaviour, whereas a coach is an expert in accelerating change and personal development. Coaching is not co-dependant. Sessions usually run for a predetermined period such as six or twelve months, but can be discontinued at any stage. Coaching does not dwell on the past, nor does it aim to psycho-analyse you or the impact past events have had in your life. There is no emphasis on fixing anything. Coaching is forward-moving and future-focused. Coaching does not seek to give advice or diagnose problems. You are the master of your life and know and understand your life situation and are fully capable of generating your own solutions. Coaching sessions are not training programmes, interventions or workshops where knowledge and skills are obtained. In coaching, the client sets the objectives, timelines and desired outcomes. The coach provides the support and the guidance and space for change. Coaching does not prescribe the actions that the client needs to take. The client chooses what they are willing to explore, reflect and work through. In a nutshell, coaching focuses on change, taking ownership, setting goals, creating outcomes, measuring progress and being accountable for personal change management. The terms coaching and mentoring are often used interchangeably, however they have two very distinct differences. Mentoring has its roots in the notion of apprenticeship, where a more experienced and often older individual takes a younger candidate under their wing and passes on knowledge and skills around the mastery of a specific activity. Mentoring is commonly used in organisations when it comes to career development, succession planning as well as leadership and management development. Commonly, executive leaders, politicians and social influencers use mentors to grow and develop them. The fundamental difference between coaching and mentoring is that a mentor is a wise and trusted adviser who shares advice and guidance. We all know how often we convert other people’s advice into our reality; not very often! On the other hand, a coach allows you to find your solutions for yourself which will automatically inspire and motivate you to change. The difference may seem subtle semantics, but it’s not!